Flexible to suit all kinds of round, or square bottle sizes. 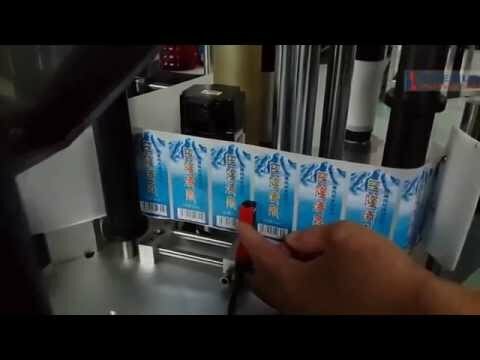 Input attached type rolling depressing system working on the bottles, to assure label stuck more firmly on the bottle body surface. Good for connecting with production line, available with bottle turntable for option. 2） Big size touch screen control panel, simple in operation and maintenance. 5） Whole unit are made of high quality stainless steel material with aluminum alloy processed with positive electrode, never rusts.